Ravensun Drummer's 30th B-Day Bash For Your Liberation, RAVENSUN, T. B. 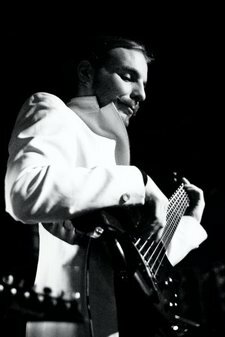 A.
I’ve been playing bass for eight years, mostly in progressive metal and jazz fusion bands, but I’m also heavily into playing country, folk, dub, indie rock, hip hop, and pop. Here are some videos of me playing different styles of music. Sorry for the low quality.